awareness, ambient intelligence and automotive). Currently his research activities focus on highly distributed, pervasive, adaptive and autonomic service platforms and systems. Abstract: The future of the Internet is pervasive and dominated by intelligent endpoints. In spite of this, Operators are pursuing a centralized approach for Next Generation Networks and Web actors are pushing the client server approach to such an extent that servers are now "inside" the network if not the network itself. This evolution contradicts the Internet foundations and could lead to paradoxes and an inconsistent infrastructure. The Future Internet has to be simple, economic, open, green and pervasive. It distributes intelligence at the edges and tries to limit the asymmetry between client and servers. Peer to peer and adaptive technologies enable a compelling service platform that exploits capabilities of terminals and leverages connectivity. They are slim means juxtaposed to the increasingly gigantic client-server datacenters. The complexity of the distributed service platform can be managed introducing autonomic functions in participating nodes. Bio-inspired algorithms and game theory mechanisms can support the quasi-optimal self management of the entire "service ecosystem" made out of "network of networks". The speech will present the context for this approach, the current status of the work, some experimental results and future steps to enable a highly distributed and user centered service platform for the Future Internet. Engineering at the Twente University as a part time researcher to coach PhD students in the EMC disciplines. Abstract: Electromagnetic fields are considered by many students as a difficult subject. Unwanted electromagnetic fields are even tougher for students. We have developed many experiments as demonstrations (demos) to show the effect of electromagnetic fields in real life products. This paper gives a brief overview of these demos. Abstract: Electronic communication market data in Republic Croatia have been presented, based on public switched telephone networks, mobile telecommunication networks, as well as on radio and television broadcasting. The market development in a new regulatory environment has been forecasted with emphasize on broadband Internet access and on transition to digital television broadcasting. A comparison to the European Union markets has been done. Professors Christopoulos and Benson, graduating with a PhD in Coupling of electromagnetic waves into wires experiments and simulations . After a years post doctoral study at Nottingham, he moved to Leicester to lecture in communications and researching in related electromagnetic phenomena. He is currently also the Head of the Engineering Division at De Montfort University. He has published approximately 150 technical papers and also holds an MBA. The time spent in a more commercial function in Industry still has not left him and he is also interested in technology strategy, particularly forecasting. Abstract: Our offices, and increasingly our homes, are wrapped in twisted pair cabling. It often does not seem as innovative as optical fibre or wireless solutions, yet the cabling that is ostensibly the same that carried signals of a few tens of kilocycles in the early days of telephony is looking towards handling 40 or even 100 gigabits per second. This lecture is a window on how this, often overlooked, technology works, its history and the challenges for its future. Abstract: A main problem being addressed here is that, as EMC engineers, we have a sense of when a result is good (or a comparison of results is good) irrespective of how visually complex those results actually are. Quantification is easy when the results have a simple structure using simple distance measures, correlation, etc. This task is not easy when we are faced with graphs with many peaks and troughs and differing mean amplitude levels. Yet we still have a bye-eye ability to label the graphs as good or better than the last bunch or not good enough . Over the years, research has focussed on trying to capture this human-centred approach in a simple computer based approach. This lecture looks at the problem, how people actually look at these graphs, how we categorise good or bad , how this can be captured in a computer implementable method and what challenges this now poses. Andrew L. Drozd is President and Chief Research Scientist of ANDRO Computational Solutions, LLC located in Rome, NY. ANDRO’s focus has been on the development and application of state-of-the-art computational electromagnetics (CEM) codes, computational frameworks, hybridized numerical solutions, and dynamic spectrum optimization for complex system electromagnetic problems. 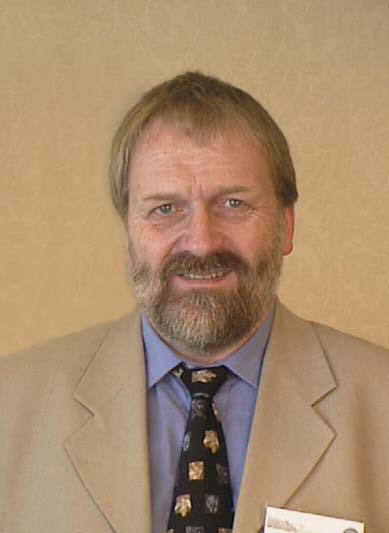 Mr. Drozd is the immediate Past President of the IEEE EMC Society (2006-2007) and is an IEEE Fellow. He is on the Board of Directors of the IEEE EMC Society. Mr. Drozd is a Member of the IEEE Standards Association Standards Board (SASB) and the Standards Review Committee (RevCom). Additionally, he is the Chair of the IEEE EMC Society Standards Development Committee and is Chair of the P1597 Working Groups for the development of an IEEE Standard for Validation of CEM Computer Modeling and Simulation. His efforts along with those of the Working Groups he chairs have culminated in the first-of-its-kind standard and recommended practice for the validation of CEM techniques and computer codes. Additionally, he is a member of the IEEE EMC Society’s Technical Committee TC-9 on Computational Electromagnetics and has been a contributor on behalf of TC-6 on Spectrum Management and EMC. Mr. Drozd has authored and co-written over 150 technical papers, reports, journal articles and book chapters. 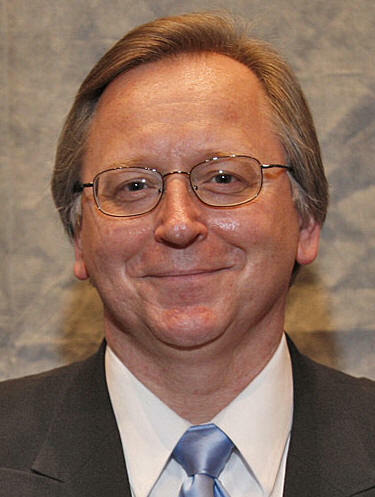 Mr. Drozd received a Bachelor of Science Degree in Physics and Mathematics in 1977 from Syracuse University, and a Masters of Science in Electrical Engineering specializing in RF Communications and Signal Processing in 1982 also from Syracuse University. Abstract: New spectrum sharing techniques for assuring the EMC of wireless systems have recently been investigated that enable the joint utilization of all orthogonal electromagnetic (EM) transmission resources, including, but not limited to time, frequency, geographic space, modulation/code, and polarization. This multi-dimensional environment is referred to as the Transmission Hyperspace™, a term intended to convey the notion of a multidimensional resource space in which each dimension allows orthogonality amongst users. The challenges faced in the modeling and analyses of large-scale problems are presented in terms of assigning an n-tuple for the purpose of enhancing data throughput amongst a group of intended transceivers. The key aspects of the Transmission Hyperspace™ for EMC and efficient spectrum management are discussed. The approach is anticipated to provide several orders of magnitude improvement in RF resource utilization and aggregate data throughput. Abstract: The growing complexity of electronic systems and the resulting increase in susceptibility to electromagnetic (EM) effects, coupled with the over-crowding of the spectrum, dictate a critical need for improved analysis methods for evaluating such systems in realistic operational environments. This presentation examines an approach for bridging system-level EM analyses of complex system configurations through the integration of component-level analysis techniques. These techniques are based on representative ‘macromodels’ that are numerically and/or empirically derived. A computer-based, system-level simulation approach that derives from component-level analysis techniques is expected to significantly improve the efficiency of ground-based testing and substantially reduce certification time and costs by readily taking into consideration numerous combinations of test parameters and operating modes. This approach can be used to assure EMC between the aircraft and its on-board systems or components in a less numerically-intensive way.